The Supreme Court will on Thursday hear the plea filed by former finance minister P. Chidambaram’s son Karti Chidambaram seeking permission to travel abroad. 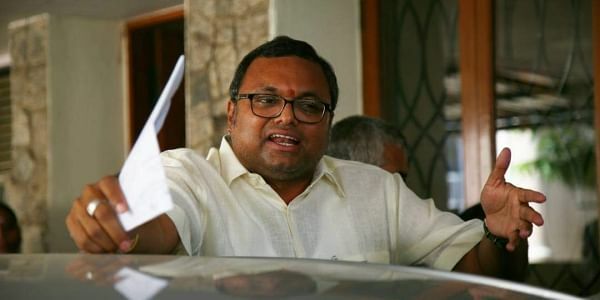 NEW DELHI: The Supreme Court will on Thursday hear the plea filed by former finance minister P. Chidambaram’s son Karti Chidambaram seeking permission to travel abroad. Karti is an accused in the alleged INX media case. On November 9, the Apex Court had asked the Central Bureau of Investigation (CBI) to respond whether Karti Chidambaram could be allowed to travel abroad for four to five days. The apex court was hearing Karti's plea seeking permission to travel to the UK. The top court also asked the probe agency as to what conditions can be imposed on Karti so that he does not escape. The apex court had earlier on November 6 rejected Karti's plea after the CBI opposed it, saying that he might tamper with the evidence, which is very crucial for the ongoing investigation, in the country. A lookout notice issued by the CBI on July 18 prevents Karti from travelling abroad without the investigating agency's permission.